Personal headquarters! Here's your home away from home in the boonies. Tough as Rambo. Genuine U.S. military. The shelter half is approximately 7 ft long by 5 ft wide on inside. 45 inch height. Weighs 12 lbs., 2 ozs. You get 2 halves of a shelter, complete with 6 poles, ropes, and 10 stakes. 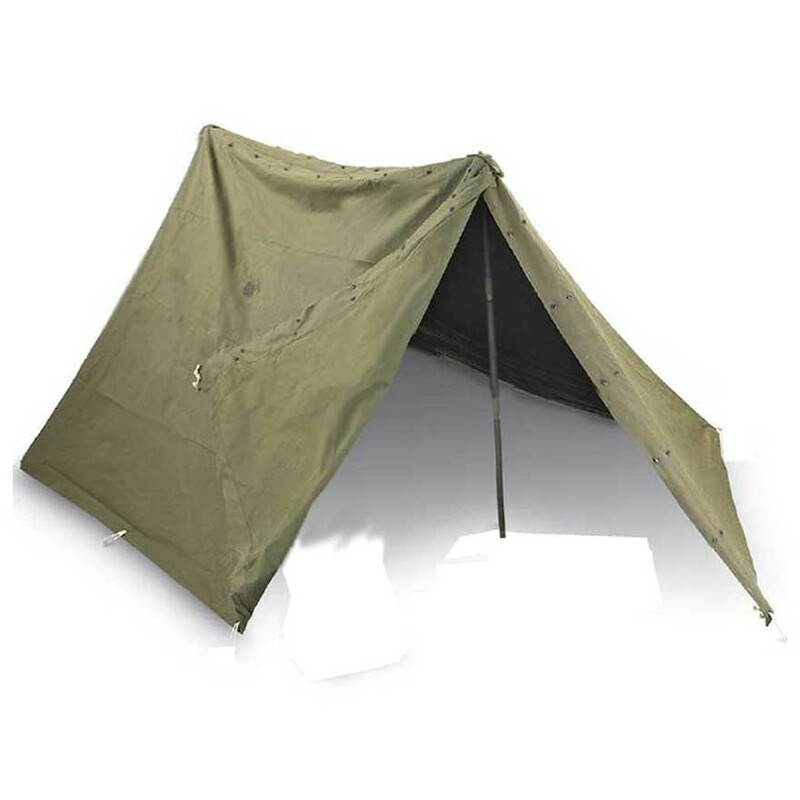 Heavy, original GI canvas with eyelets and tie-downs will make a great tent for two adults and has vestibule ends on both sides for extra storage. Double-flap system snaps closed at both ends and keeps the weather out, Used, in good condition.